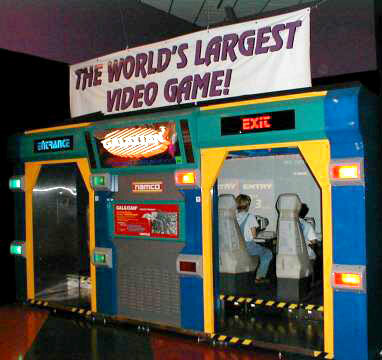 I've played a lot of upright, cocktail, sit-in and cockpit arcade games, but I'd never even heard of a walk-in arcade game! 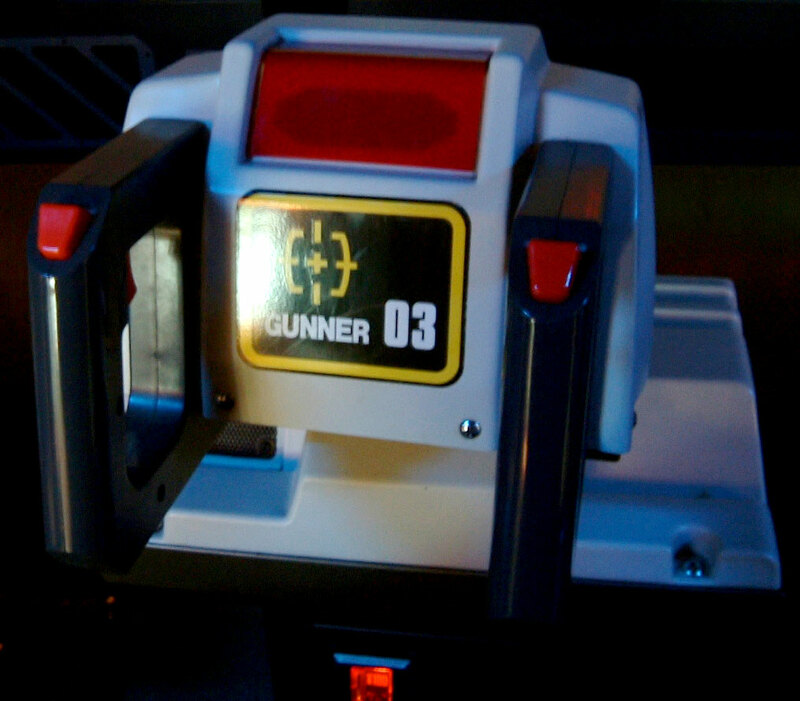 Namco's Galaxian 3 was a theater-style arcade game for up to 6 players. 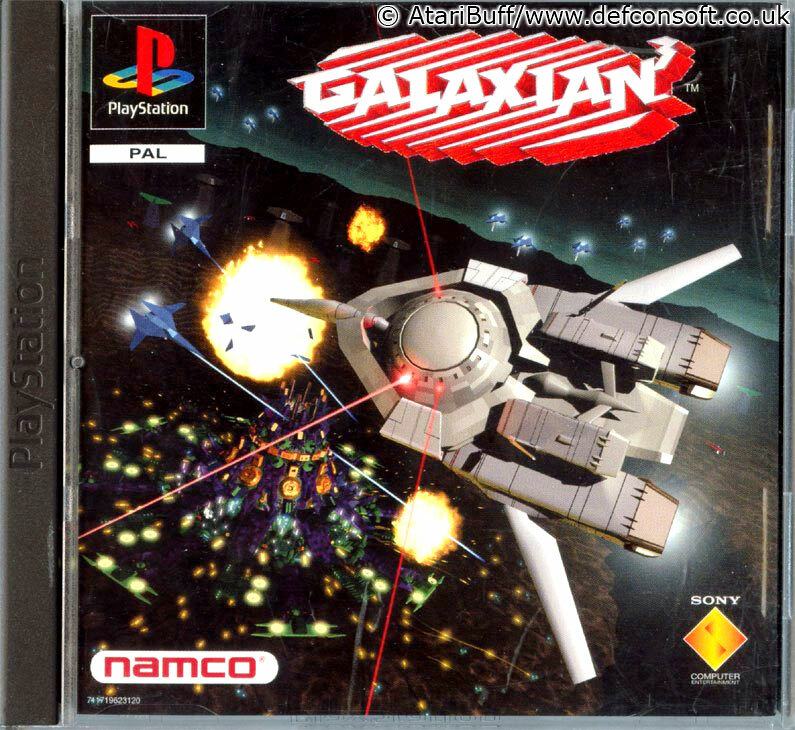 I'm a huge fan of Galaga, but despite it being a Namco creation, I've never really considered Galaga a sequel to Galaxian (a personal oddity of mine) as others have. I liked Galaxian, but I adore Galaga. 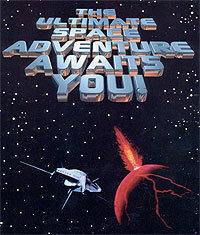 While digging around on the web I came across Galaxian 3 for the PlayStation. 3?!? I didn't know there was a 2!! I wondered why I'd never seen it. The original PlayStation was the first console I owned that had a significant number of arcade releases on compilation discs from Williams, Midway and Namco. It seems this was a 1996 Japanese release and was never released in North America. My next thought was that I never heard of Galaxian 2 either. If there's a "3", it stands to reason that there must have been some sort of interim device. 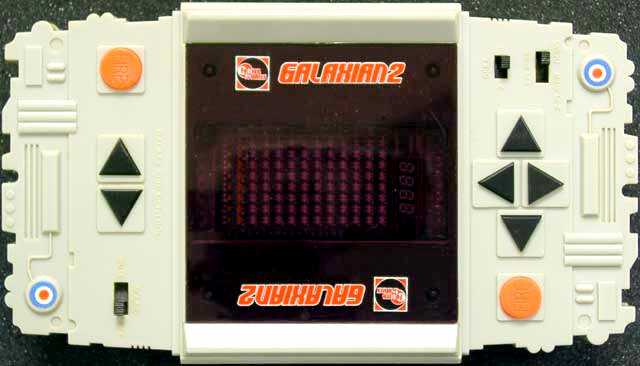 Indeed there was and Galaxian 2 was an electronic single-game handheld (popular in the late 70's and early 80s) released in the US by Entex Industries (1981). Entex produced LCD, LED and VFD-based electronic games, some based on arcade games as was the case with Galaxian 2. To remain competitive they created two cartridge-based tabletop electronic games in 1981, called Select-A-Game and Adventure Vision. The popularity of home video game consoles was the demise of Entex who folded in the early 80s. Next I came to the origin of that PlayStation game. 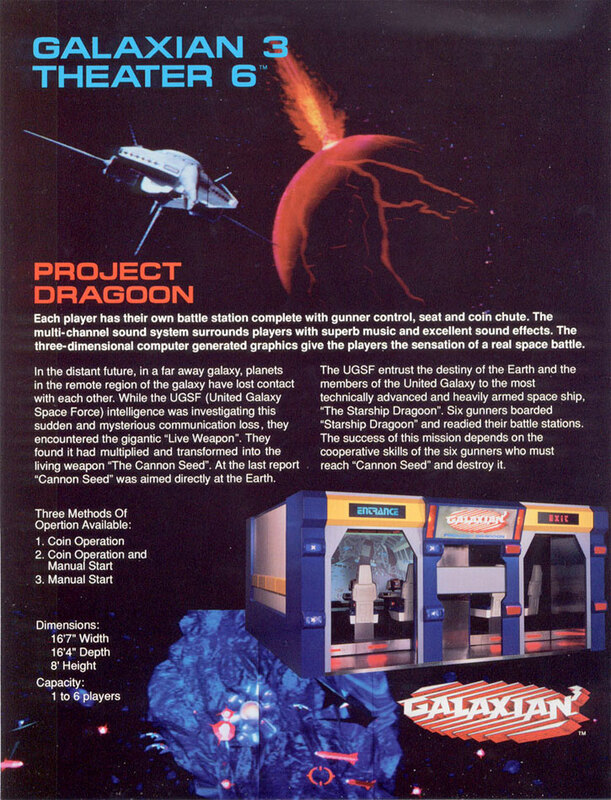 Galaxian 3 was originally an arcade game made by Namco in 1994 and sometimes called Galaxian 3: Project Dragoon. But it's far different from most arcade game you encounter - in every way. Remember how the multi-game NeoGeo MVS cabs allowed 6 games in one cabinet? As arcades faded from glory, floor space was at a premium the same way "shelf space" is to retailers. All the cabinets in an operator's arcade had to pay the company bills. Imagine if one arcade game took up 16 square feet! You could probably fit 16 upright cabinets, in a back-to-back row, in that space! Galaxian 3 was huge! It seated up to 6 players who all faced multiple projection screens. 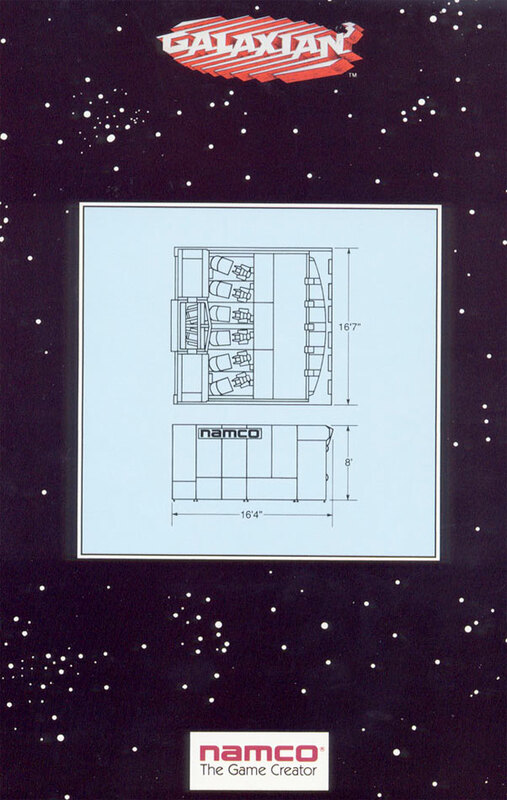 Namco was aware of the massive floor space requirement and high cost ($150,000). To make it more attractive, they rolled it out, in 1994, as their Theater 6 system that could host a variety of different games. 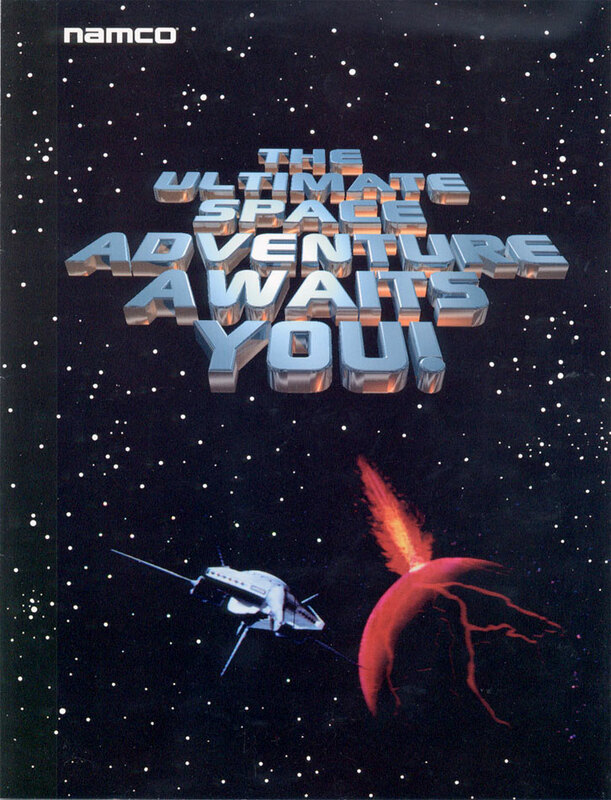 One such game was "Attack of the Zolgear" which ran on the Theater 6 system. Theater 6 got it's start earlier in 1990 as a theme park attraction. In that format it was even larger and could handle 28 people simultaneously, in a hydraulic gaming arena, who were positioned in a circle. So, I suppose arcade operators with $150K to spend would be delighted to purchase the smaller footprint of the Theater 6 design. 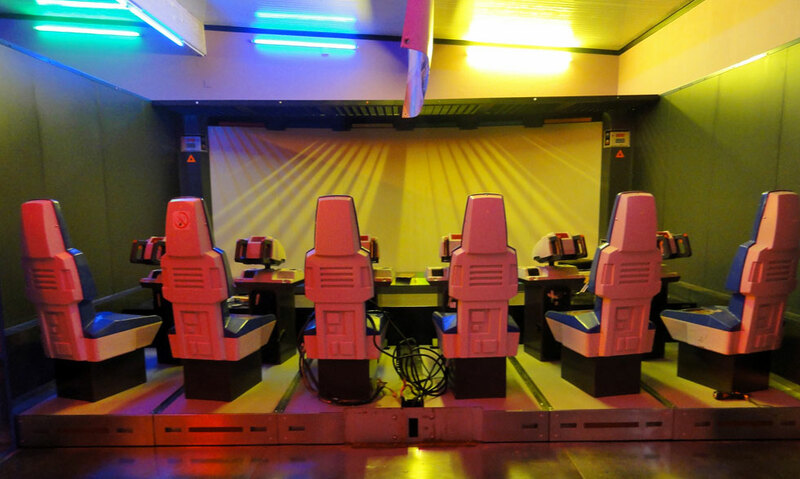 Unlike Galaxian, where you control your ship's movement and firing, Galaxian 3 teamed up 6 people to shoot at a variety of enemies. Your ship navigated on it's own. Up to six players were all teamed up on the same game and mission. Each gamer has the same controller that enabled a unique on-screen site with which they could target and fire upon enemies. 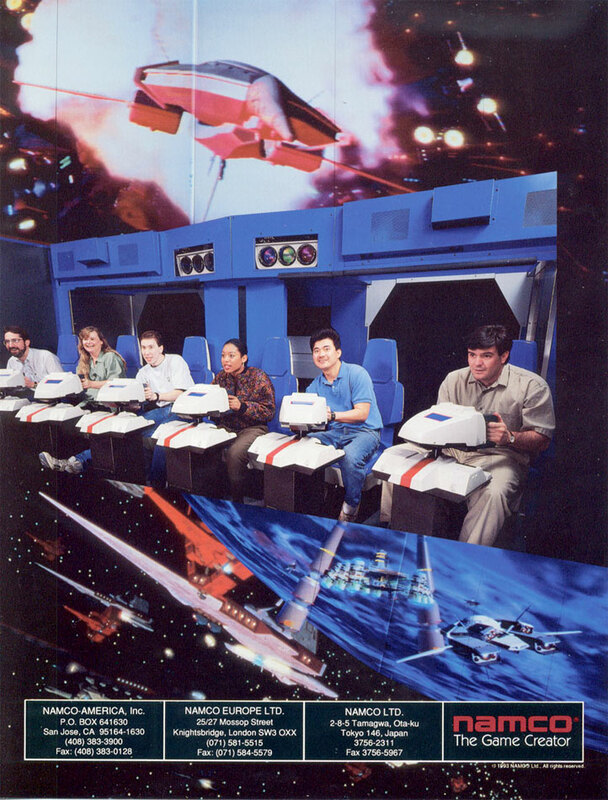 In addition to the multiple screen, used to simulate one continuous play area, Namco's System 21 hardware ran the actual game, while dual LaserDisc players provided background imagery. This is somewhat similar to the Dragon's Lair arcade game that also used LaserDis to provide backgrounds while the processor controlled other aspects of game play, like moving sprites around the screen. The laserDisc players had the ability to provide far more realistic backgrounds than anything working off the typical arcade hardware. LaserDiscs were the home movie predecessor to DVD, so this format was more than capable of delivering high quality video. This left the power of the arcade hardware to tackle game play elements. Thus player controlled elements could be laid on top of the FMV backgrounds. Even animated explosions could be handled beautifully by laserdiscs. It sounds a bit hokey, but if you watch a game play video, it looks like a lot of fun!